© 2019 Night Apes Dream. 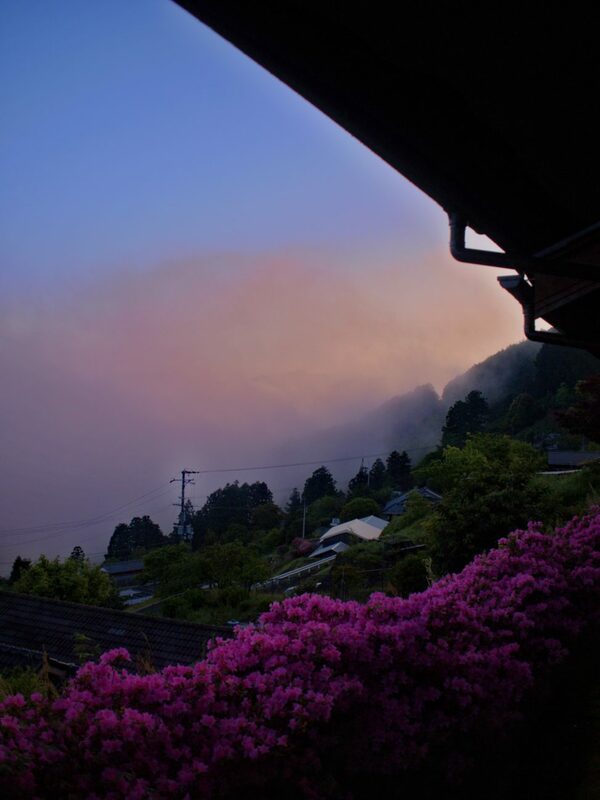 Takahara, the “Village in the Mist”. The first night of the Kumano Kodo pilgrimage. As evening sets, the mist rolls in. Slow but unstoppable. Hiding the mountains that stretch back to the horizon like waves. Rising early in the morning, the process plays in reverse. The mist draws away, revealing the valley below and allowing the morning light through, colouring the village.